The Fairytale Hoodie is designed for your next park sessions when it's already too warm outside to wear your snowboard jacket. One of our Top Sellers! 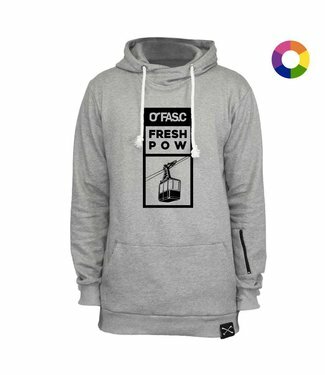 The Pow hoodie of the current FASC snow collection features a comfortable relaxed fit and is made of a soft and comfortable fabric. You won't regret bringing this hoodie to the mountain on a cold day. Comes with a Skipass/Creditcard Pocket on the lefst sleeve. Our mountain series hoodie is equipped with everything that is necessary on the mountain or deep winter days on the streets. Our gre High on Life Hoodie will always remind you about the bright side of life. Itâ€˜s not only just a visual masterpiece, more because of ist functions FASC sets a new standard for street- and Snowwear, with the FASC Arrows Hoodie to make your life much better. The Magic hoodie of the current FASC snow collection features a comfortable relaxed fit and is made of a soft and comfortable fabric. You won't regret bringing this hoodie to the mountain on a cold day. 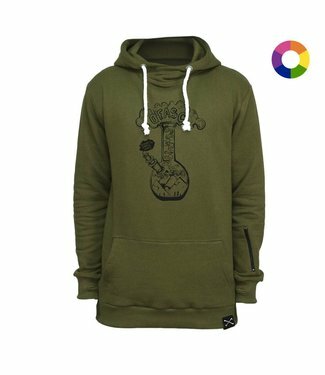 A fleece lining provides excellent comfort and warmth in a black colorway that features the Big Poppa graphic screen printed on the chest. Skipass Pocket on the left sleeve and more features are waiting for you. It's the creme de le creme of technical hoodies. Like a goodie bag full of goodness to throw on your body and help you shred good. Skipass Pocket and iPod Pocket etc..
Good fit and the comfortable material make this Sweater a top seller. Wear it with jeans or dress up with chino pants â€“ this crew neck is always and everywhere your right choice. The eDoggo x FASC sweater looks good on you. Basic is best. With the FASC Raven Hoodie you get a timeless design combined with top quality. 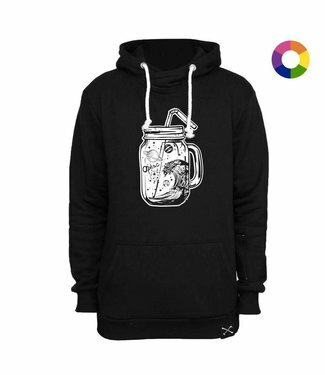 Absolutely stylish and for sure comfartable hooded sweatshirt for all situations. If you go for a skate or just chill at home, you will for sure never be cold again. Comes in with a Skipass Pocket on the left Sleeve. All you need for a cool style is the Leonardo Hoodie by FASC Wear. Featuring a cool graphic front print and made of finest cotton, it is just the right basic you need to possess! What are you waiting for? Grab it!